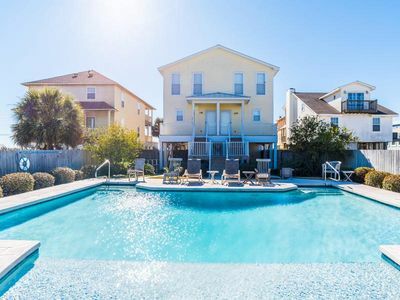 **INCLUDES ACCESS TO BRAND NEW INDOOR POOL COMPLEX** New King Mattress in Master! 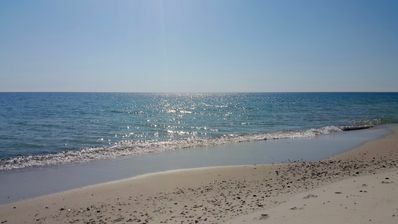 When you need to get away, this is the place. 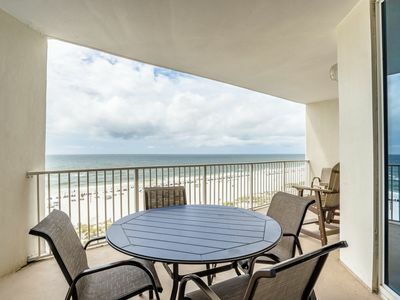 Our Plantation Palms direct Gulf front condominium is located on the top floor of the the beautiful Plantation Palms Beach Resort within Gulf Shores Plantation. 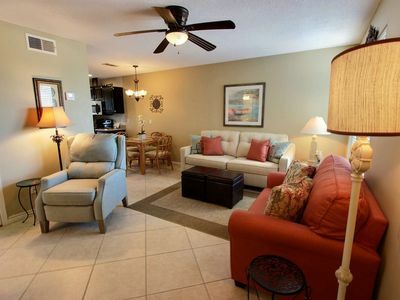 This is a family-friendly, gated, resort complex with enough pools to swim in a different one each day of the week! 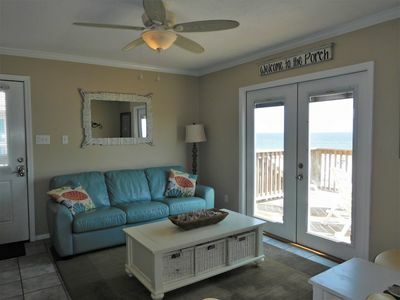 Where else can you stand in the kitchen and look out at the fabulous private white sandy beach? 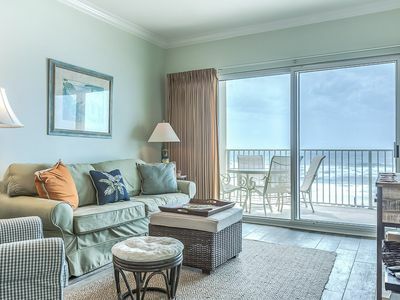 Enjoy your coffee on the large balcony listening to the waves, looking for dolphins on their morning swim, or watching the sun rise and set. This is all just a few clicks away! 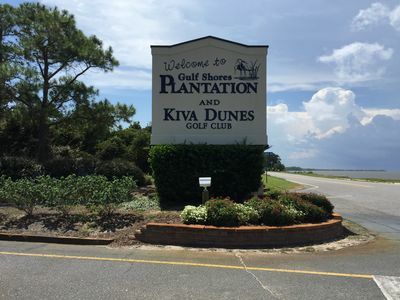 From the front door you look down on the Nationally Rated Kiva Dunes Golf Course! 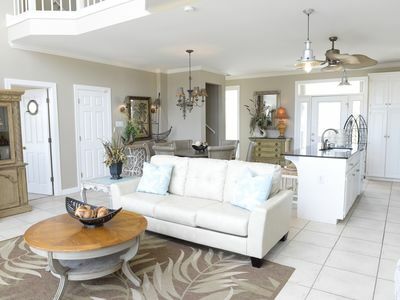 The fabulous Peninsula Golf course is only 10 minutes away. 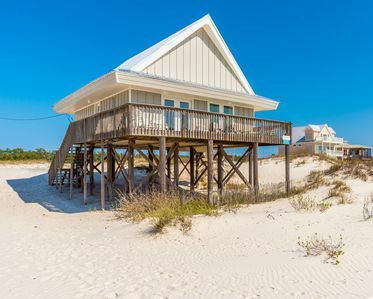 This is your home-away-from-home with warmer weather and better views. 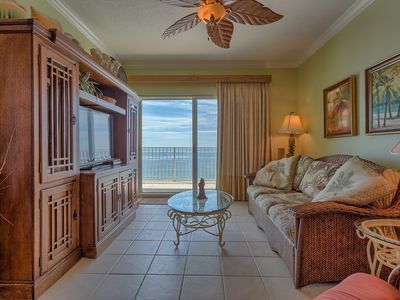 Our gulf front condominium has a King-size bed in the private, master bedroom. 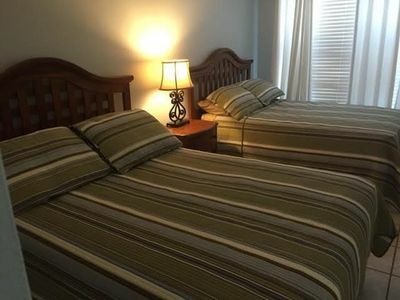 Built-in twin bunks in the hall and a queen-size sleeper sofa in the living room. 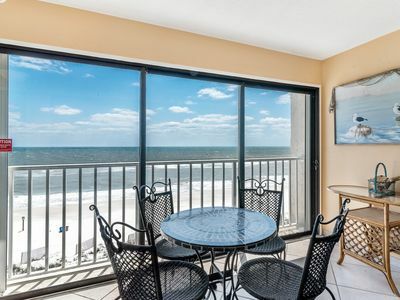 You can cook for yourself in our fully-equipped kitchen, on one of the pool deck charcoal grills, or let someone else do it all at one of the many wonderful nearby restaurants. 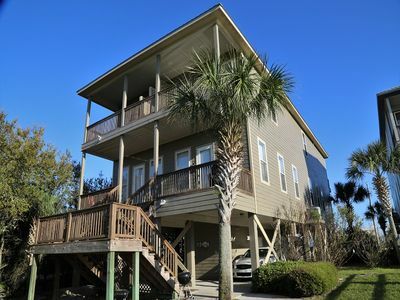 Our calendar is up to date on VRBO and we utilize VRBO's payment processing system for your convenience. Minimum age for rental is 25. 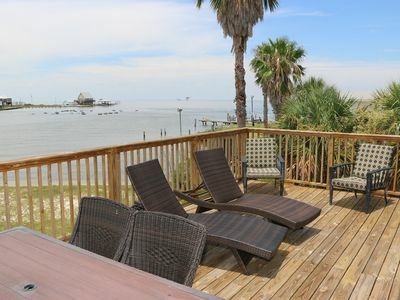 Stunning Gulf Views ~ O-Sea-D Home in Duplex ~ Private Pool~ Steps to the Beach! 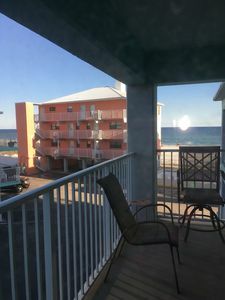 Grand Beach Resort 405- The sand is warm, the locals are nice; BOOK NOW for the best Spring Break price!! 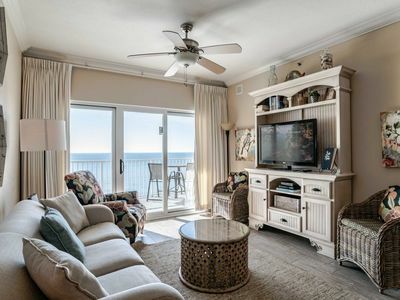 Beach Front Condo with Incredible Views! 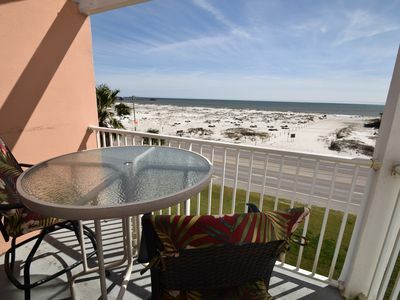 ~ Private Balcony and Great Resort Amenities ! 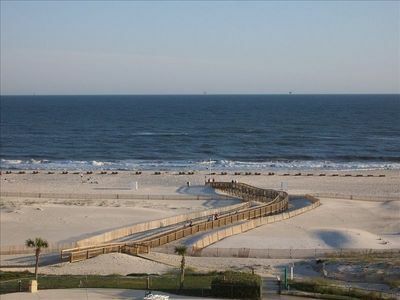 Family fun in Gulf Shores CLOSE to the Hangout! 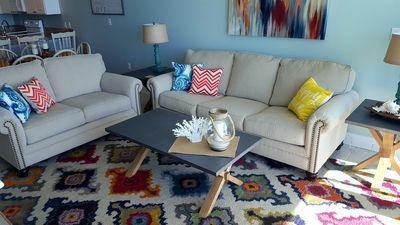 Comfy and cozy Bay side home! 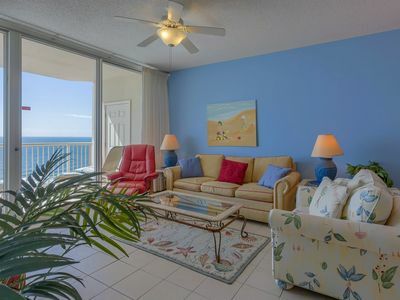 Beautiful 2 bedroom condo, only 1 minute walk to the beach! 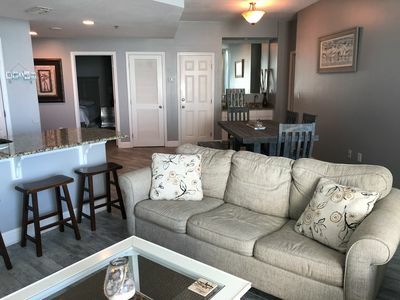 Ocean Reef 101 - FREE GOLF, FISHING, DVD RENTALS, WATERVILLE AND ESCAPE ROOM TICKETS!